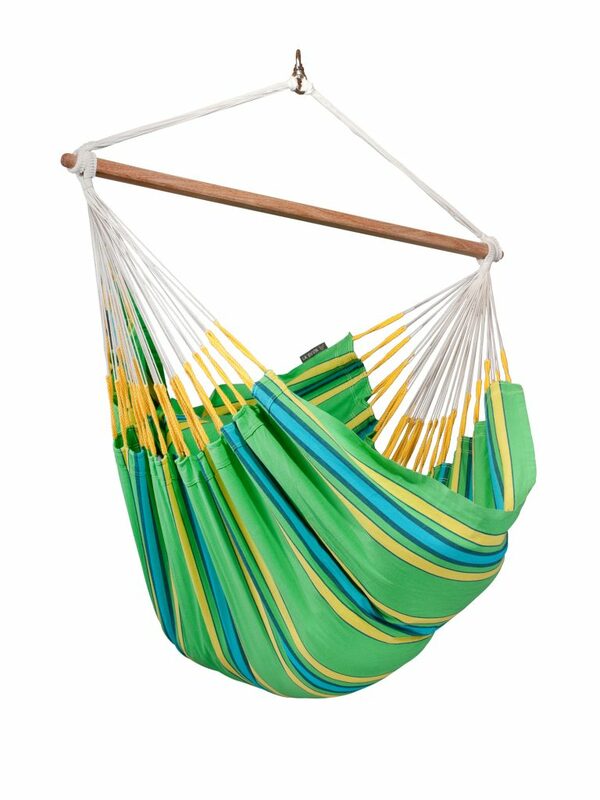 We already have reviewed some hammock chairs by La Siesta and the Hammock Chair Lounger HABANA is the best of them yet. For all those who don’t really like chocolate color, the Currambera Collection in very cheerful colors Kiwi, Blueberry, Apricot, and Chery could be an excellent choice. 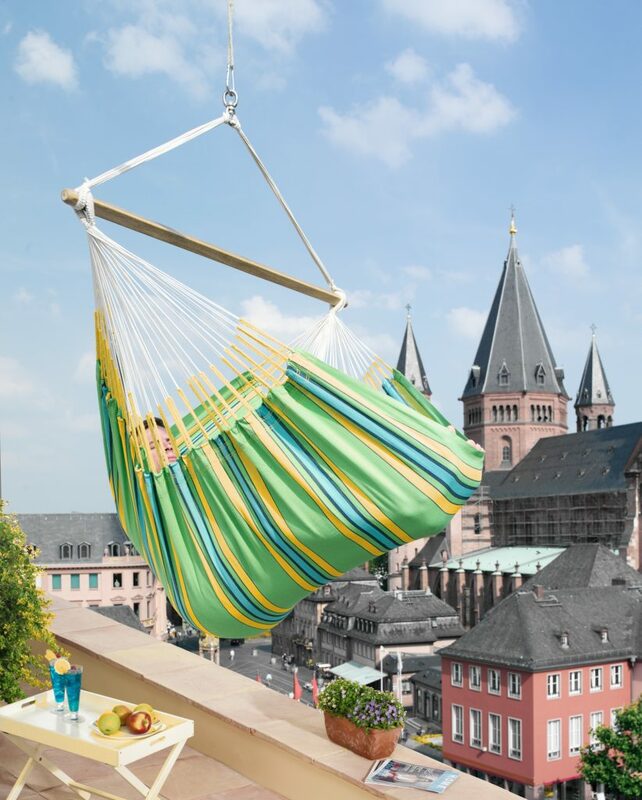 The Lounger is the largest La Siesta hammock chair and is ideal for families with kids, large and heavy people, for couples. The word ’Lounger’ implies a ’deck’ chair as well as ’a person spending their time lazily or in a relaxed way’. The Lounger is comfy yet tough, it combines the feel of a hammock and the space-saving qualities of an indoor hammock chair. It’s large. It’s 82.7 inches long and 51 inches wide. It’s rated to carry up to 160 kilos, which is about 353 pounds. It’s made of pure cotton. You will have to buy the hook for the ceiling. 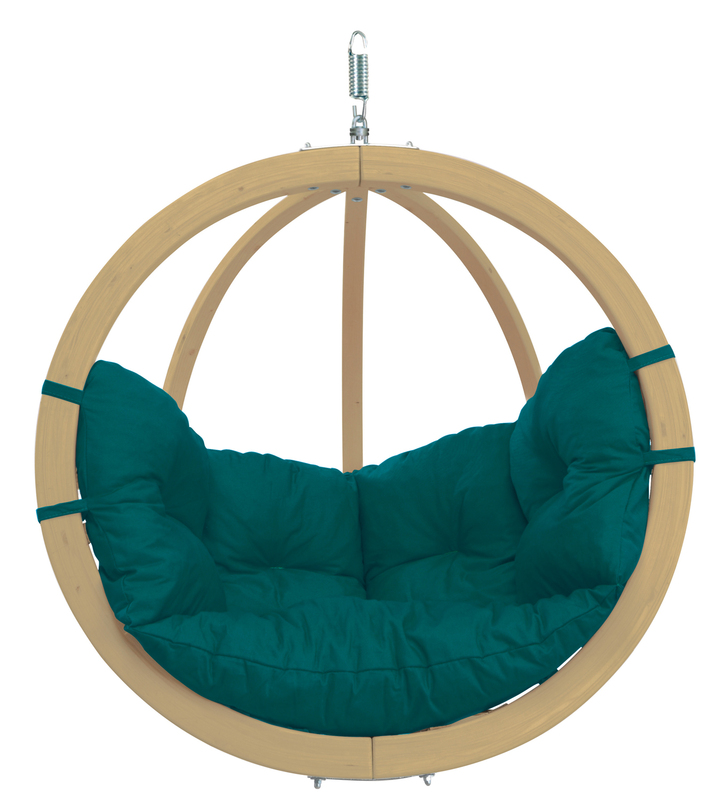 At the top, it has a 360-degree swivel so it can securely swing and rotate in any direction. It’s machine washable though it needs to line dry. At first glance, you already get a festive vibe when you see the La Siesta Currambera Collection. The colors are quite vibrant and it draws your eyes. But its looks are just the start of its appeal.You’ll then notice the sheer size of it. It’s huge. This starts with the 82.7-inch length, which means you can sit back on this and it supports you from head to toe even when you’re fully stretched. 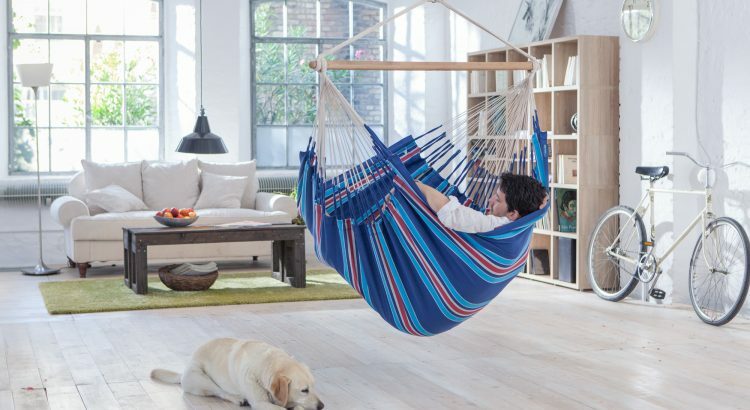 It’s really a lounge chair, except that you’re hanging from the ceiling. What’s more, it is very wide at more than 51 inches. That’s enough space for a couple, a parent and a child, or even you with your dog. That width is due to the 55-inch long spreader bar. Have a seat, and you’ll notice more than just the extra roominess. You’ll also notice the softness that comes from pure cotton. The high quality and the long fibers make it very soft to the touch, and it’s also free of lint. 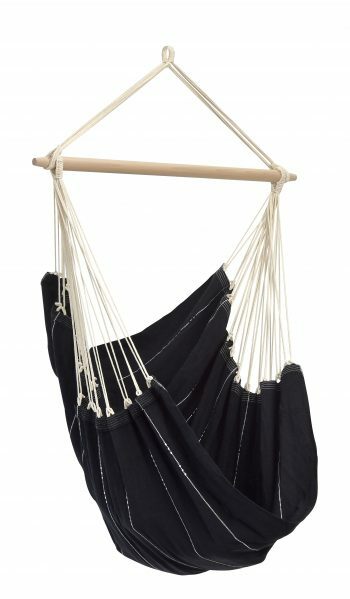 Part of your comfort also comes from the knowledge that this hanging chair is very tough. 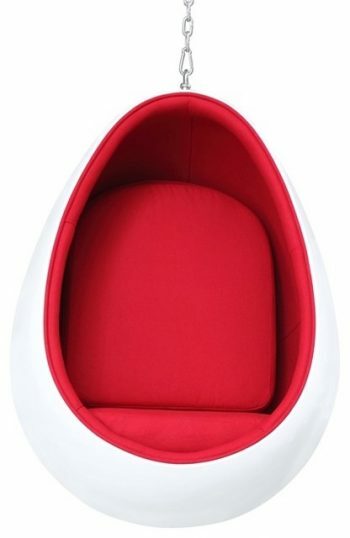 It doesn’t matter how heavy or how huge you are, if you’re sitting along in this thing then in all likelihood it can bear your size and weight. 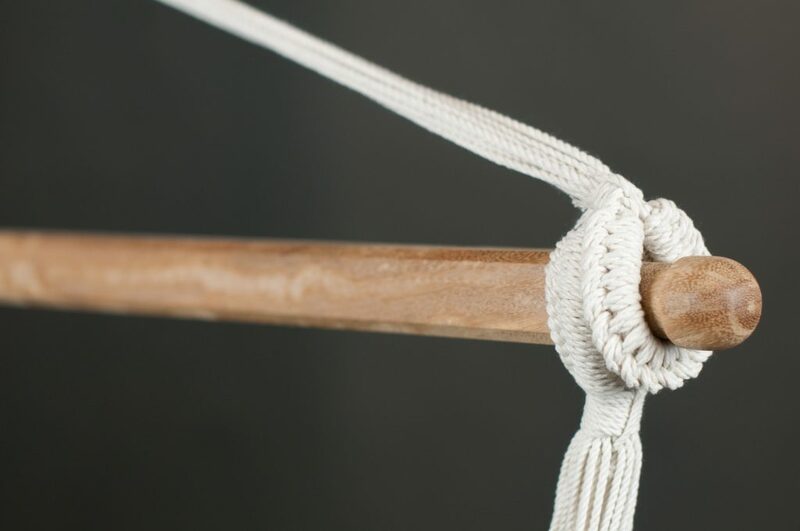 You don’t need to worry about the dowel splintering, the ropes breaking, or the fabric ripping. It won’t tear either. The spreader bar is made from bamboo that’s FSC (Forest Stewardship Council) certified. This means it comes from a forest that’s socially and ecologically sustainable. Of course, when it comes to cotton you need to take special care that it doesn’t get exposed to too much moisture. That’s why you can’t leave this outside overnight because it can’t deal with the dampness. You have to put this back in the house. For the winter season, you have to put it in a plastic bag to protect it from moisture and from vermin. This, however, does come with 2 main areas of concern. The first one is the price, which goes into the 3-digit territory. It is admittedly a bit pricey. Then you also have to make sure you have enough room for its sprawling size. You also have to consider giving it enough space to swing any which way. 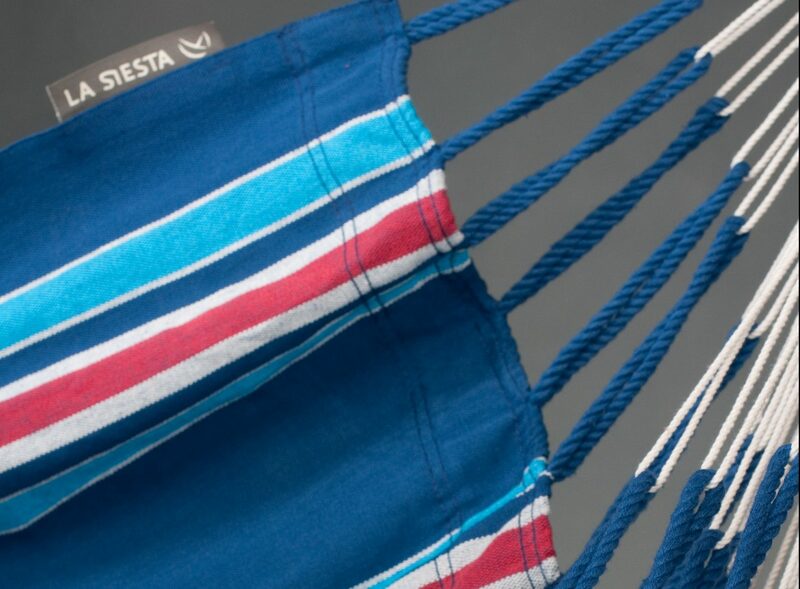 La Siesta has been specializing in the development, marketing and distribution of hammocks and hammock chairs since 1991. The brand does focus on not only offering the best quality hammocks and hammock swing chairs in the market but to do this whilst holding the highest standards in respect of nature, human interaction as well as the environment. To achieve this, the company does focus on quality in virtually all aspects of its product portfolio. For those who pay special attention to nature and are keen on conserving it, the brand does offer organic cotton of the highest quality and all its products are manufactured following the most stringent manufacturing standards. It comes in 3 distinct parts, but it’s very easy to set up. 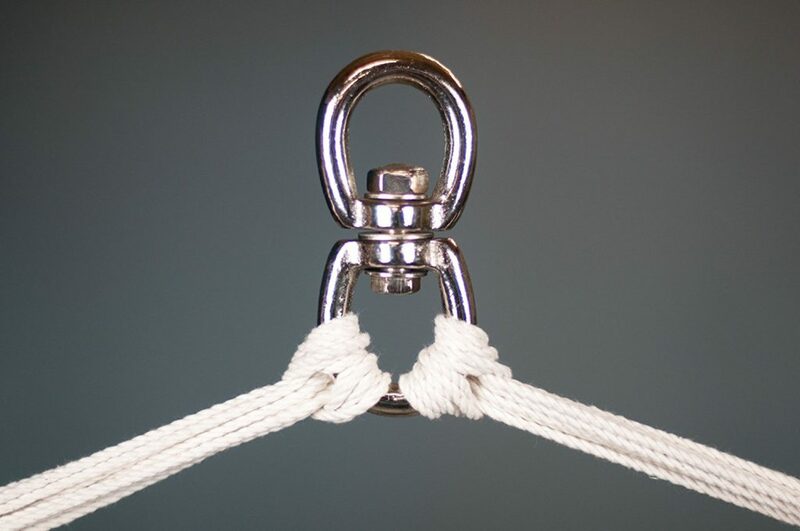 You just need to attach the seat fabric to the dowel, and then you put in the suspension cord over the bar. You will have to buy the S-hook for the ceiling. 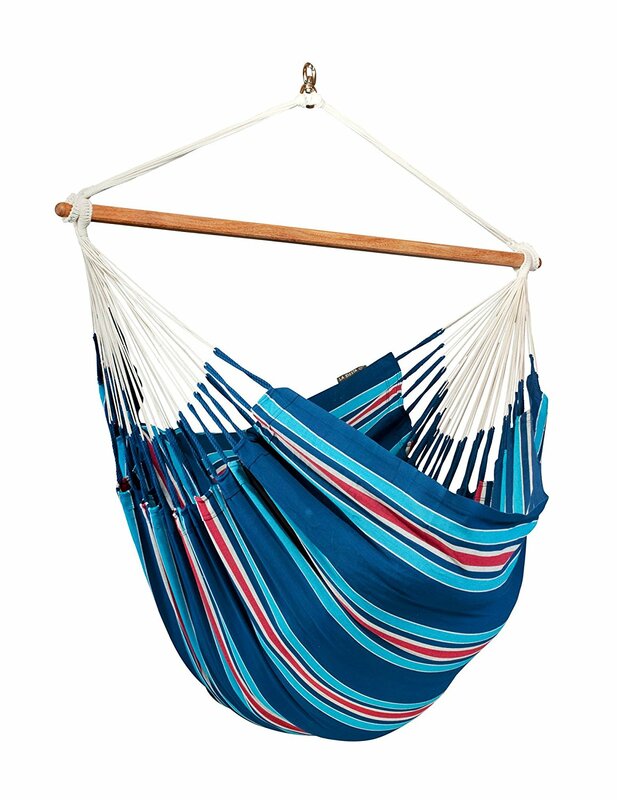 This quality hammock swing chair is from Colombia. It’s one of those countries that have centuries of history in making swing hammocks and you can feel it. It’s a fair bet that it’ll be everyone’s favorite chair in the house and it is big enough for a family.